Facebook officially has 1 billion active users, the company’s chief executive Mark Zuckerberg announced this morning. That number is equal to roughly one-seventh of the entire human population. 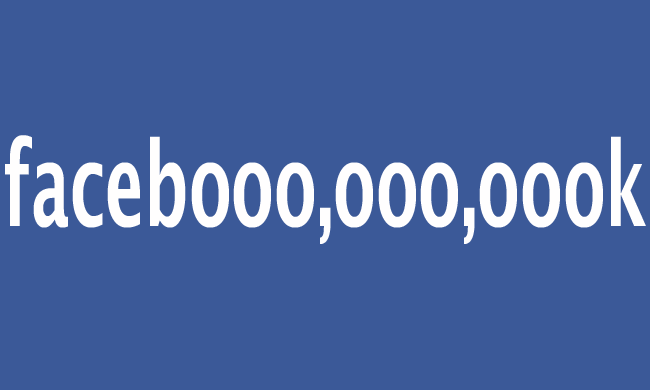 The 1 billion milestone came at 12:45 p.m. PT, on September 14, according to a fact sheet [DOC] that Facebook released this morning. The company also unveiled some additional stats that help put the social network’s monster growth in perspective: 1.13 trillion Likes, 1040.3 billion friend connections, 219 billion photos uploaded, 17 billion location-tagged posts, 62.6 million songs played 22 billion times. Facebook says that the median age of users had dropped from 26 in 2008, when the company first hit 100 million users (one tenth the number it has now, four years later), to 22-years-old today. The United States, Brazil, India, Indonesia, and Mexico have more people on Facebook than any other countries today. Among the 1 billion active users, 600 million access Facebook through a mobile device, according to the company. Of course, what Facebook does not mention in its press release is that 8.7 percent of all accounts on the social network are either fake or duplicate accounts. (However, that should not significantly impact the 1 billion number, as it’s unlikely that Facebook counts these as “active” users.) The company is currently working to clean up the problem, part of which involves asking users to rat on their friends who use fake names. While Zuckerberg says that he is thankful for having the “honor” of “serving” us, the truth is that we are the ones who have served Facebook. Despite its woes on Wall Street, Facebook is currently worth about $46.77 billion, as of Wednesday’s market closing. Mark Zuckerberg alone is currently worth just under $11 billion. He is 28-years-old. 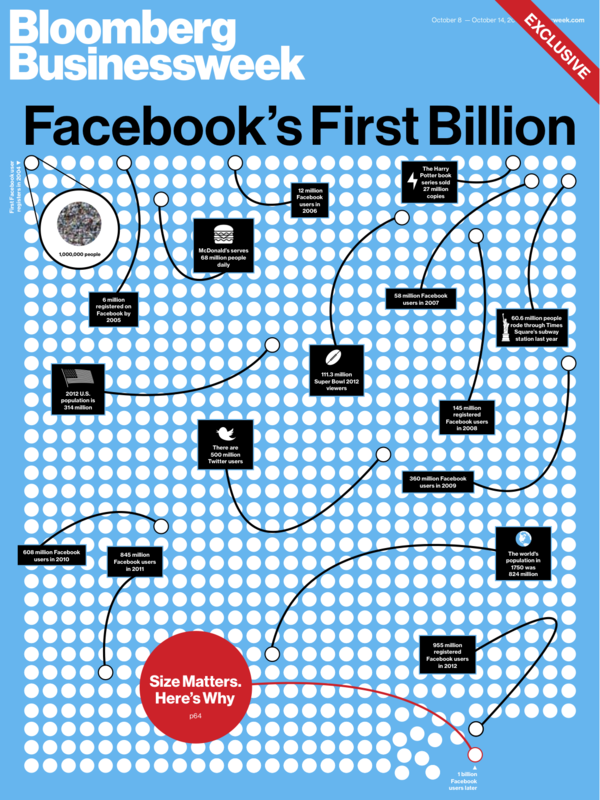 To celebrate the 1 billion-users mark, Facebook has launch a full-bore media blitz, with Zuckerberg appearing on NBC’s “Today” show, and providing Bloomberg Businessweek with an interview that serves as the magazine’s cover story. In it, Zuckerberg says that the company is holding a hackathon to mark the occasion. It’s theme? The next billion.